Portraits aren’t required to be pretty. “Les voyageurs de la campagne” by Johann Walter Bantz is a great example of this. A mother holding a very young child stands behind two other children. The photograph reveals clues about their circumstances. 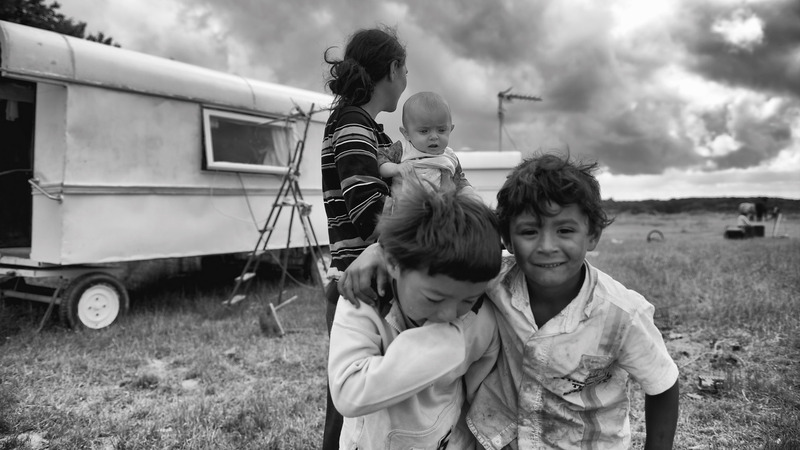 A trailer, an old television antenna, an ominous sky and raw emotion on the faces of the kids. The image tears at our hearts. It reminds me of the photo of the migrant woman by Margaret Bourke-White.